What is the contenteditable Attribute? The contenteditable is an attribute that you can apply to any element to make them editable. This is now an editable paragraph! Now you will have a blinking cursor on the element and you can apply a custom color on it. 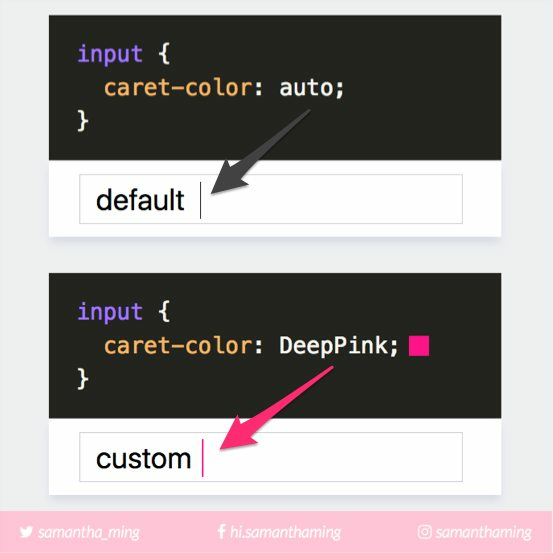 @aschmelyun: This would be a great (super subtle) addition if you're live-checking for password length or valid username format, style the cursor red to match the input border/label color/etc.